The first few minutes of incident response can make a crucial impact on life safety. 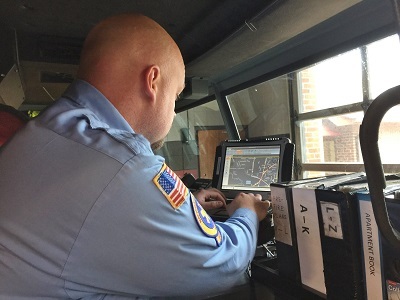 That’s why public safety departments need Mobile Data Terminal or MDT software that gets them to the scene of an incident efficiently and safely with the information they need. 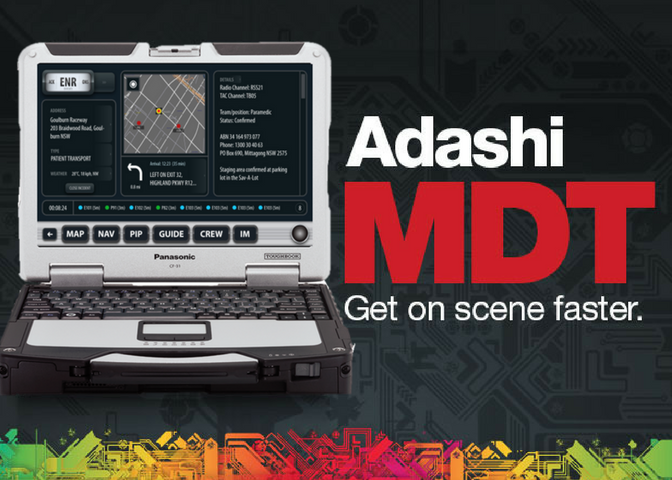 Adashi FirstResponse MDT is a revolutionary emergency response software product. 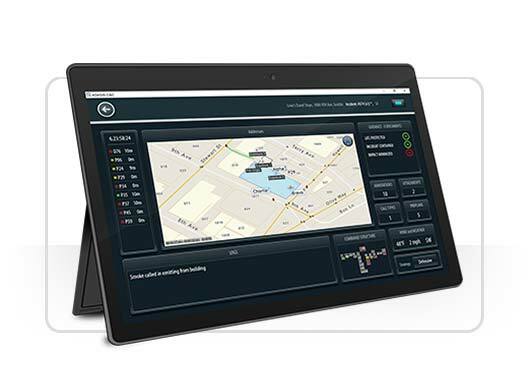 The dynamic interface allows first responders to view and access mission-critical data, including navigation, pre-plans, and custom may layers – when they need it the most. Our one-of-a-kind incident response software provides public safety departments with all the data they need for a fast, coordinated, and intelligent response. Click here for more information on how Adashi FirstResponse MDT operates in the United Kingdom. Our MDT software was designed specifically to help emergency services personnel with their day-to-day duties. With our unique interface, responders can view all of their key information in one main critical information dashboard. No fumbling between maps or scrolling through screens on a moving vehicle. 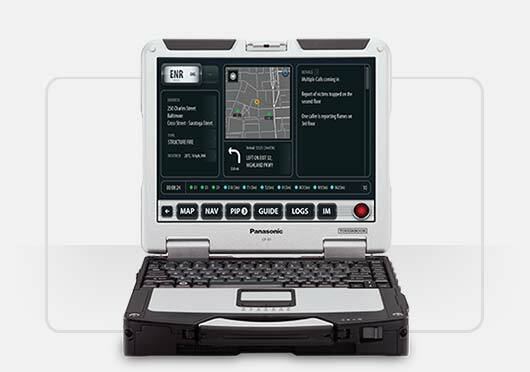 When emergency responders are in a moving vehicle, they can easily access pre-plans, standard operating guidelines, checklists, local benchmarks, an editable Incident Action Plan (IAP), hazard predictions & modelling, AVL data, weather information, and more all from the main screen. Everything first responders need is in a clear, easy-to-use format, specifically designed for public safety needs. Adashi’s MDT software also helps mutual aid partners share and access pre-plan data across jurisdictions. Check out our case study on the Old Mystic Fire Department for more information. Direct interface with most Computer-Aided Dispatch systems (CAD) allows for two-way communications and status updates. This integration provides first responders with a complete log of all information received from CAD in real-time. At the touch of a button, units can quickly indicate their current status to dispatch and commanders. FirstResponse MDT instantaneously notifies responders when a call is received and provides a detailed summary page of dispatch information. The type of incident, location/ address, and turn-by-turn directions are displayed even before the responders get in the vehicles. Responders receive a reliable, efficient route with turn-by-turn navigation that automatically incorporates turn restrictions, physical barriers & gates, one-way streets, restricted access areas, relative road heights, and more. Get to the incident scene as quickly and safely as possible. Our software integrates with records management systems (RMS), allowing responders to access building pre-plans, standard operating guidelines, checklists, local benchmarks, hazard predictions & modelling, and weather data. Access critical data whenever you need it. FirstResponse MDT integrates with CAD, RMS, and other existing systems for simple transfer of important data. Our MDT also seamlessly integrates with Adashi’s incident command and staffing software to provide an end-to-end tool for its users. First responders can access Esri, Pictometry, Google/ Bing, and local or custom GIS overlays including hydrants, sewage/power lines, and points of interest to identify hazards and gain a complete view of the situation from multiple viewpoints – even at night. 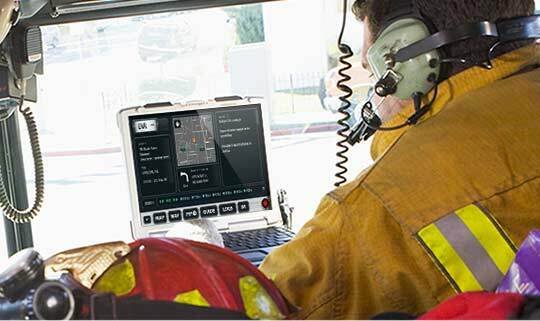 The IM feature lets crews communicate messages, photos, and high-resolution video streaming in real-time. Use this feature to create a common operating picture and improve interoperability across all connected users. With our unique information dashboard, responders can view all of their key information in one place. No fumbling between maps or scrolling through screens on a moving vehicle. Everything first responders need is in a clear, easy-to-use format, specifically designed for public safety needs. Learn about several specific Adashi FirstResponse MDT features that work regardless of connectivity – anytime, anywhere. With direct interface to your records management system (RMS), emergency responders can see incident pre-plans, checklists, building information, and other critical data even if there is no Internet/cellular connection. All information is stored locally on the MDT device to make for quick and easy retrieval. Using FirstResponse MDT, responders also can communicate with other units, pumps, or commanders at the scene within a specific radius regardless of cellular or radio service. Communication is reliable and consistent even if geographic or environmental hazards affect traditional communication channels. Read the full Jacksonville case study! 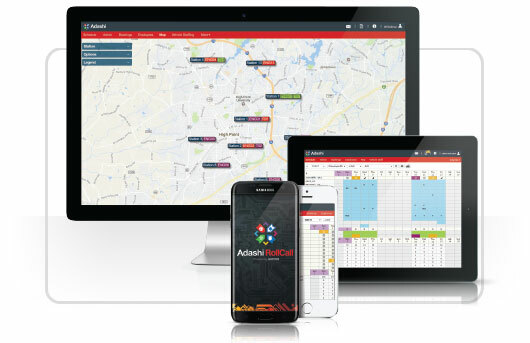 Want to learn more about Adashi’s public safety software? Adashi’s staffing, incident response, and incident command products seamlessly work together, giving public safety organizations an end-to-end tool.